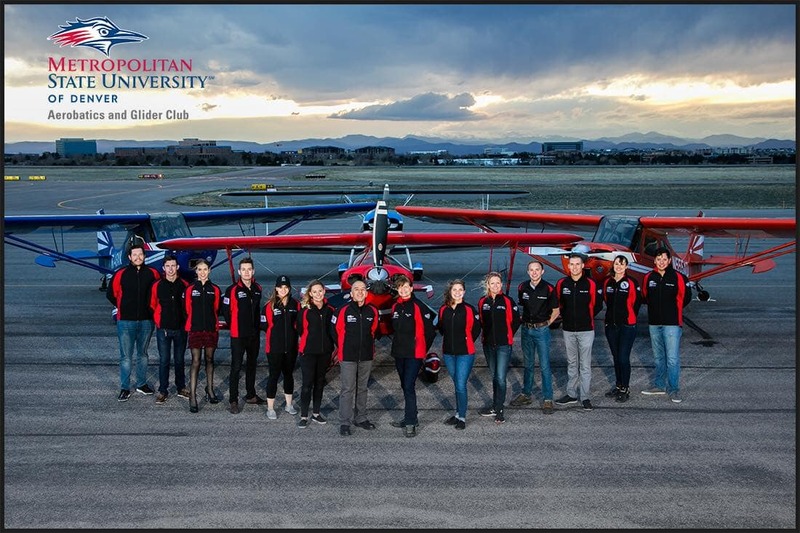 The MSU Denver Aerobatics and Glider Club promotes and enhances flight safety by providing an opportunity for students to learn aerobatics, and explore aviation outside the standard right-side-up flight envelope. In addition to becoming proficient in flying an airplane in different directions and attitudes, straight up or straight down, looping or rolling through the sky, students become safer pilots by acquiring the skills to recover from unusual attitudes and spins. With the generous help of donors, we can attend future competitions around the country. Funds would be used to help transport team aerobatic planes to and from competition, lodging for the duration of the contest, competitor entry fees and to cover fuel costs during the competition. Any donations will be greatly appreciated and all donors are welcome to come out with us and watch our team compete. Your gift of $50 will help us pay to fuel our planes. Your gift will support the cost of one student per competition or practice flight. Your gift of $150 will help pay for the hotel rooms at future competitions. Help the students get to and from competition by sponsoring their transportation costs. Feed a student with your gift of $250. Support one student by purchasing round trip airfare to future competitions. Your gift of $850 would sponsor one student's airfare and entry fee into a future tournament.